Who is who in German medtech? Berlin, 15.01.2019 – For the fourth time now, the “Guide to German Medtech Companies” will be published. The medical technology companies in Germany are well prepared for the mounting requirements of the EU regulators: Industry experts assume that German medtech companies will generate more than 30 billion euros in sales for the first time in 2019. 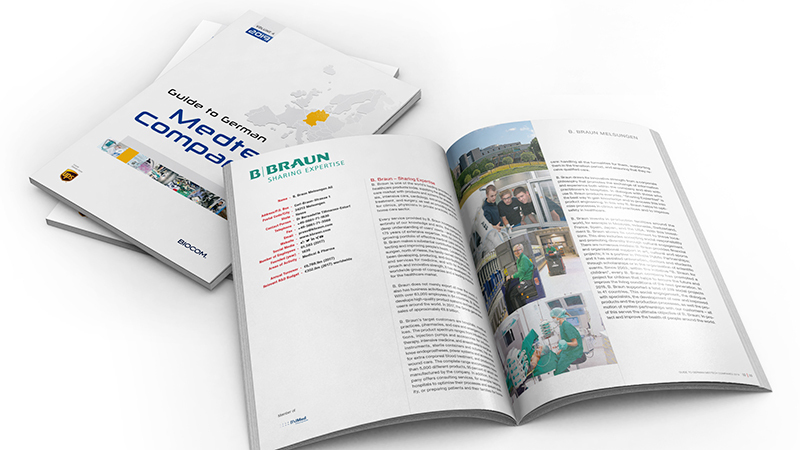 The fourth edition of the “Guides to German Medtech Companies” provides an overview of the flourishing industry. It will be on display at 24 events around the globe. On more than one hundred pages, innovative companies from the entire value chain of the medical technology industry present their products and services in company profiles. In addition, the plant’s cooperation partners introduce themselves.